We left the dock on another beautiful 80-degree day with 17 MPH southerly winds and a few gusts, After a great sail off the wind to the starting line, we found the wind was building more and more as we approached the Race Committee boat. We hoped it would lay down a bit but Mother Nature had different ideas and the 17 turned to 20+ and the gusts were pretty steady. We tried to wait it out for a bit of a break where we could get in a race, but the Race Committee called it and we headed back in. The sail back was challenging and at first it was fun but then one boat went over as the wind continued to build. So, the Flying Scot Midwinters are complete and next up is the awards ceremony. The winners remain the leaders from the previous day - Championship top 5 are Zeke and Jay Horowitz, David Ames and PJ Buhler, Jeff Linton and Andy Hayward, Mark Swanson and Mike Hennessey, and Ryan Malmgren and Stacey Rieu. Challenger leaders are Bill Vogler with Peg Woodworth and Carey Seven, Randy Rubinstein and Carol Claypool, Greg and Diane Kampf, Forest Atkins and Mandy McCracken -Atkins and Shaun Clements and Andy Gardner. Full results are here.. Photos for the week will all be here. 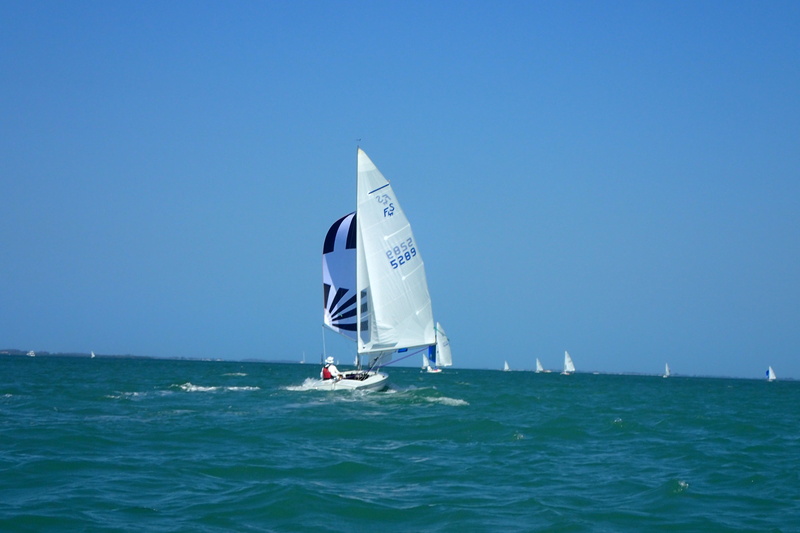 Thanks so much to Sarasota Sailing Squadron for a fabulous week with loads of great weather, great friends and great fun! Can't wait to come back!